Want to know what one of the main weak points of the current Jaguar line-up is? It’s the engines. They’re not bad, but they’re far from class-leading, and the diesel versions aren’t what you’d call refined. 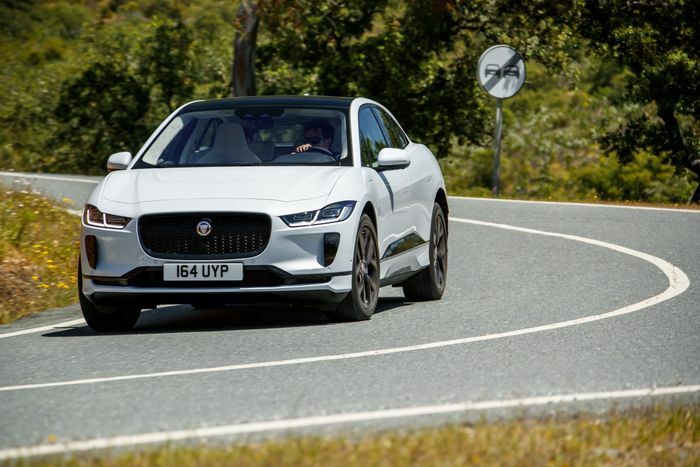 They’re just not that Jaguar-y, so when you think about it, taking all of that away and sticking in an electric powertrain could well make the perfect Jaguar for ‘normals’. As in the sort of people who don’t particularly want an F-Type with a ruddy great supercharged 5.0-litre engine shoehorned under the bonnet. 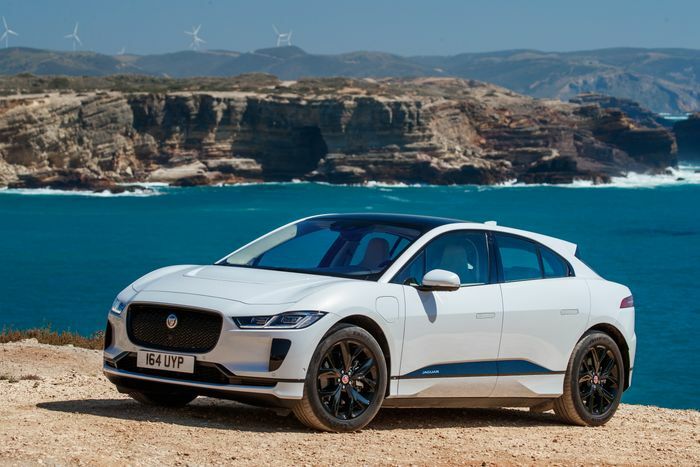 And guess what: the ladies and gents from Gaydon have done just that with the creation of the I-Pace, an all-electric SUV. And unlike a lot of the metallic hippos that are increasingly populating our roads in alarming numbers, the I-Pace is actually a looker. In fact, there’s barely anything to tell it apart from the razor-sharp concept that debuted in 2016. It’s also remarkable that Jaguar has managed to beat the likes of Audi and Mercedes to the punch with a mainstream EV. Audi’s weird - and we reckon reactionary - publicity stunt with E-Tron prototypes rolling around Geneva at the time of the motorshow said it all: the German establishment isn’t happy to have been shown up by a comparatively tiny British company. Being first isn’t much use if Jag has made a dog’s breakfast of the car, but based on our first drive, that isn’t the case. First off, let’s look at the powertrain. A 90kWh battery pack made up of 432 lithium-ion pouches powers a pair of compact ‘permanent magnet’ electric motors - one for each axle - with a total system output of 395bhp and 513lb ft of torque. We’re in a ridiculous position now where that doesn’t sound like a whole lot, but trust me, it’s more than enough. 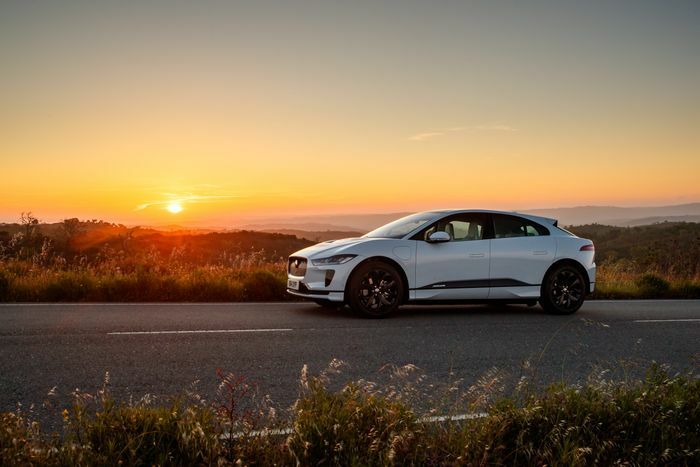 There’s a very brief delay when you floor it - deliberately engineered in for the sake of “comfort,” Jaguar told us - after which the I-Pace shoots forward with the kind of pick-up that leaves you thinking “where the bloody hell did that come from?” That’s the beauty of instant torque. The absence of noise merely makes the punchy thrust seem more dramatic, although if you want, there are two levels of artificial ‘feedback’ noise you can add. A noise which can only be described as spaceship-like. I quite like it, actually. With all four wheels powered, traction isn’t an issue. And when you start to treat it like a sports car (Jaguar is keen to point out it has an F-Type-like double wishbone front suspension setup), you’re helped by a ‘virtual driveline’ that alters the power that is delivered by each motor as the car sees fit, and a torque vectoring system which lightly brakes the inside wheels (normally just the rear wheel, but sometimes the front too) to keep your line nice and tight. On looser surfaces there’s a more obvious bias to the rear axle, but generally, it’s quite neutral. On a dry road when you’re pushing, it tends to be the front wheels that give up first - it isn’t that difficult to get the 245-section, 20-inch Goodyear Eagle F1s (smaller wheels are available, as are 22-inch rims with 255-width Pirelli P Zeroes) squealing away. There’s only so much the trick electric drivetrain can do about the I-Pace’s porky persuasion - we’re talking about a 2133kg car, here. That said, up until the howls of pain from the front-most rubber, the I-Pace simply doesn’t feel as heavy as it is. That’s partly down to the classic EV platform layout that’s centred around a slab of batteries at the base of the car - it means the centre of gravity is 100mm lower than it is on an F-Pace. And as a consequence, the I-Pace is much more keen to change direction than you might expect. The most impressive thing about the way it drives is the damping. It remained perfectly stable even when the roads forgot how to road, with the surfaces at some points breaking up quite severely on our route. This is the sort of thing that’d show up body control issues, but the I-Pace doesn’t seem to have any. It just soaks all that crap up with an incredibly well-polished rebound stroke, appearing to shrug at any signs of tarmac-based bastardry. It doesn’t roll all that much either, and yet there’s still a very smooth ride offered up here. To cap it all off, the steering’s pretty sweet too. It’s maybe a little too keen to self-centre and there isn’t a whole lot of feedback on offer, but it’s predictable, satisfyingly hefty, and has more than enough speed to make light work of your favourite set of bends. When you calm down, the properly sorted suspension and smooth powertrain team up to make the I-Pace utterly relaxing to cruise around in, whether you’re soaking up motorway miles or trundling through heavy traffic. All of this you can do safe in the knowledge that you have a 310-mile range to play with, and when you’re out of juice, it’s possible to charge to 80 per cent using a 50kW charger in 80 minutes, and when 100kW stations finally arrive, just 40. All is well until you start to use the infotainment system, and that’s when the stress starts to creep back in. JLR’s touchscreens have come on a long way in recent years, but there’s still a frustrating delay between you pressing a button and something actually happening. The sat-nav system isn’t always the clearest, and while there are some cool displays specific to the I-Pace that show how the electric power is being deployed/regenerated and so on, they’re surprisingly hard to find on your first handful of distracting touchscreen explorations. The cabin itself is a nice enough space, if not quite the dramatic departure from conventional Jags you might expect, but there are still the kind of cheap-feeling bits and pieces you just wouldn’t find in an Audi, BMW or Merc. The silver trim piece under the screen doesn’t look brilliant and has a weird sharp edge on one side, there are lashings of naff-looking piano black plastic, and the lower screen for the infotainment system - which displays the heater controls, among other things - is hard to see in direct sunlight. And that’s before it’s been covered in smudgy finger prints. There’s nothing bad about the interior per se, it’s just that others do this sort of thing much better. For something that costs anything from £58,995 for the entry-level S up to £76,900 for the super-fancy First Edition, you do expect more. These quibbles aren’t deal-breakers however, and anyway, compared to something from Tesla, the build quality is quite a bit better. And it’s cheaper: the most comparable Model X in terms of range and performance - the P100D - is a whopping £96,850. The key thing about the I-Pace is that at no point driving the car did I miss having an internal combustion engine. 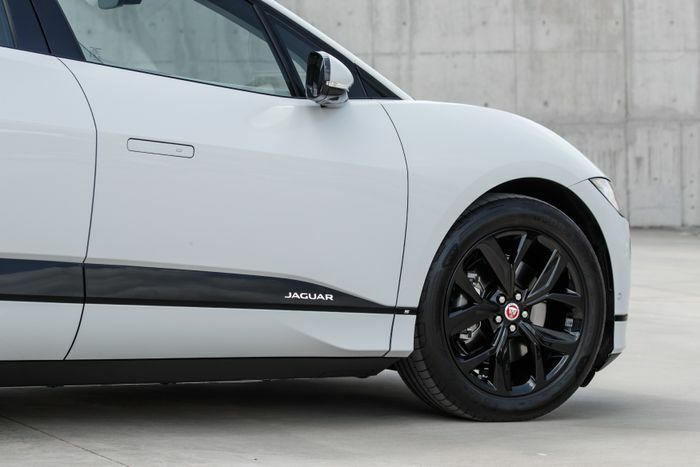 Electric power enhances the car, making it as smooth, comfortable and relaxing as a Jaguar should be. And more pleasant than its fossil-fuel burning brethren, in a lot of ways. It’s just the start, too - at the launch, I-Pace vehicle line director Ian Hoban laid down some pretty clear hints that the architecture of the car is ready to be used for other vehicles. A supremely wafty all-electric XJ successor? A plug-in BMW M3 beater? 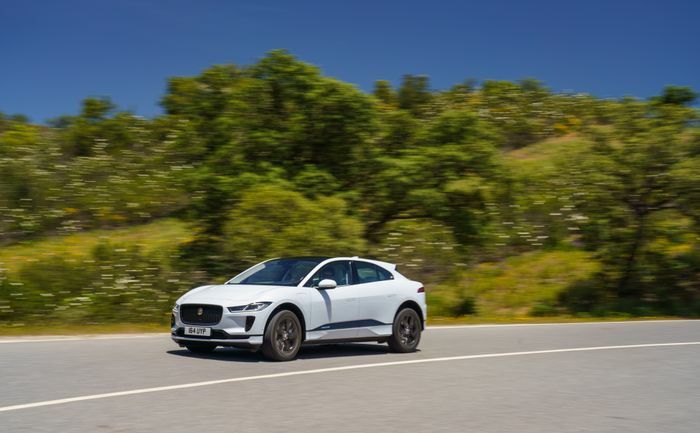 Who knows, but judging by the I-Pace, Jaguar’s electric future has some amazing potential.